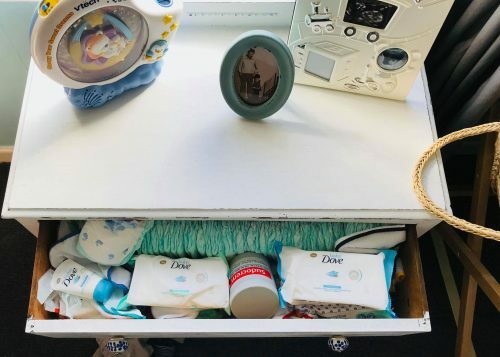 When Dove invited us to try out their amazing baby Dove range, we knew we couldn’t say no (who doesn’t like Dove?) but, who knew just how much fun we’d have! 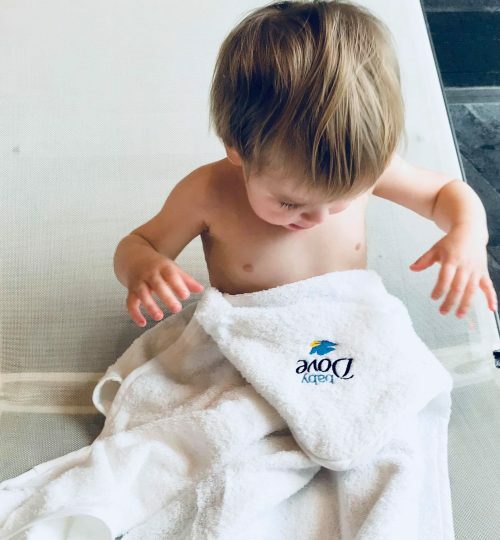 To showcase their Baby range this year, Dove decided to host an event in collaboration with Water Babies; the U.K’s leading baby and toddler swim school. 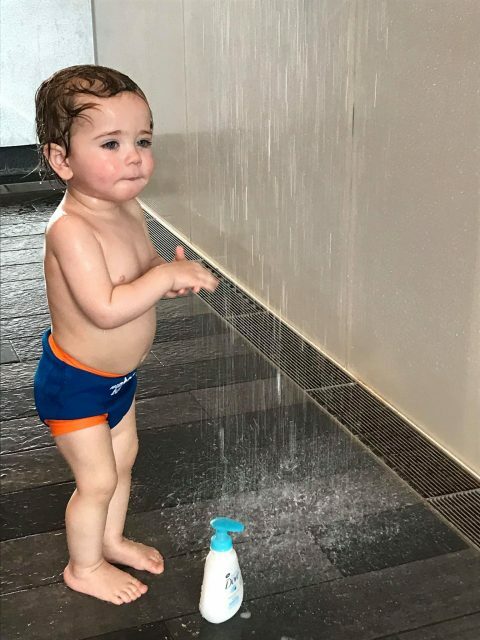 Did you know a baby’s skin not only loses water faster than that of an adult, but that it is also thinner, more sensitive, and has immature temperature control – making it more susceptible to diseases? 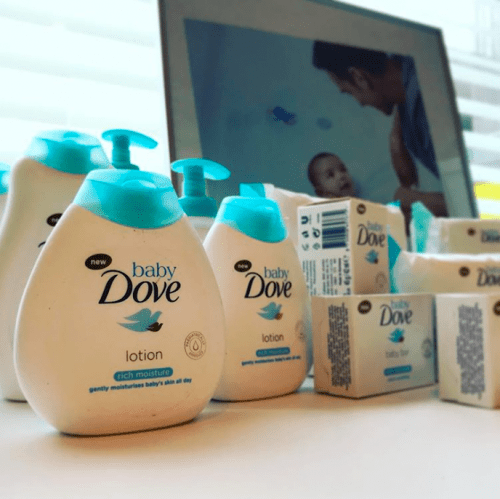 It’s for these reasons that Dove decided to develop a baby specific skin care range in order to help replenish skin moisture loss in tots, especially during fun activities like bath and swim time. 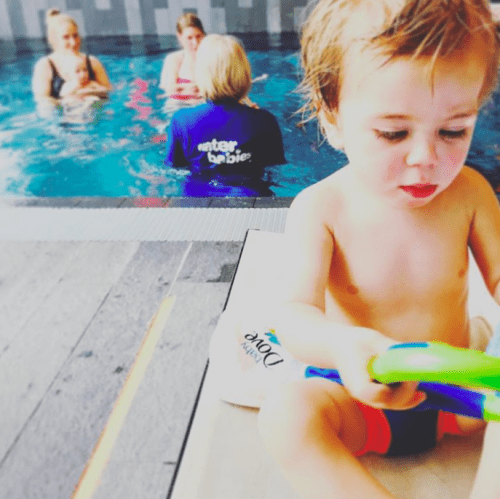 So, with the help of the Water Babies swim school we decided to put the science to the test! Theon has suffered from cradle cap for as long as I can remember and although as he gets older it is starting to fade, high perfumed products do tend to irritate his scalp and the skin behind his ears and around his neck. We’ve also struggled over the past 18 months to find an effective nappy cream that not only acts as a barrier but also gently soothes any occasional nappy rash symptoms. I was really glad to see that the products that we sampled were not only hypoallergenic and paediatrically approved, but that they were also free from perfumes and parabens. 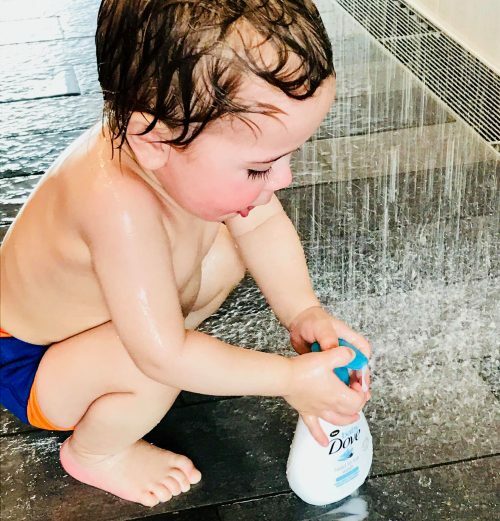 Which meant that when Theon decided to cheekily help himself to a bottle (or four) and lather up poolside, I didn’t feel overly worried about letting him be the tactile toddler he is and try them for himself, absolutely tear free. The ‘Head To Toe Wash’ makes bath time quick and hassle free and with its moisture lock, helps to retain the skins natural level of moisture. 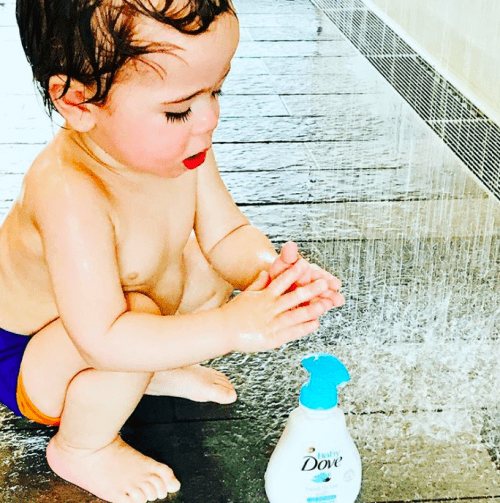 Dove has always been a firm favourite of mine, for my skin, but I had never really considered using it for the baby. However, after seeing how well the range nurtured and protected Theon’s skin (not a soggy bottom in sight), they’re now definitely a family favourite for our home too. We’d like to say a huge thank you to: Liz Fraser, The team at Baby Dove and the wonderfully patient instructors from Water Babies.